Why do developers choose Redis? Why do you like Redis? What are the cons of using Redis? What tools integrate with Redis? 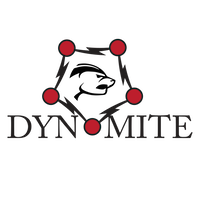 What are some alternatives to Redis and Dynomite? Redis is a good caching tool for a cluster, but our application had performance issues while using Aws Elasticache Redis since some page had 3000 cache hits per a page load and Redis just couldn't quickly process them all in once + latency and object deseialization time - page load took 8-9 seconds. We create a custom hybrid caching based on Redis and EhCache which worked great for our goals. Check it out on github, it's called HybriCache - https://github.com/batir-akhmerov/hybricache. Redis is used for storing all ephemeral (that's data you don't necessarily want to store permanently) user data, such as mapping of session IDs (stored in cookies) to current session variables at Cloudcraft.co. The many datastructures supported by Redis also makes it an excellent caching and realtime statistics layer. It doesn't hurt that the author, Antirez, is the nicest guy ever! These days, I would be really hard pressed to find any situation where I would pick something like Memcached over Redis. Trello uses Redis for ephemeral data that needs to be shared between server processes but not persisted to disk. Things like the activity level of a session or a temporary OpenID key are stored in Redis, and the application is built to recover gracefully if any of these (or all of them) are lost. We run with allkeys-lru enabled and about five times as much space as its actual working set needs, so Redis automatically discards data that hasn’t been accessed lately, and reconstructs it when necessary. The UI has message inbox that is sent a message when you get a new badge, receive a message, significant event, etc. Done using WebSockets and is powered by redis. Redis has 2 slaves, SQL has 2 replicas, tag engine has 3 nodes, elastic has 3 nodes - any other service has high availability as well (and exists in both data centers). Redis makes certain operations very easy. When I need a high-availability store, I typically look elsewhere, but for rapid development with the ability to land on your feet in prod, Redis is great. The available data types make it easy to build non-trivial indexes that would require complex queries in postgres. I use Redis for cacheing, data storage, mining and augmentation, proprietary distributed event system for disparate apps and services to talk to each other, and more. Redis has some very useful native data types for tracking, slicing and dicing information.